The Vogue Cinema in Kilkeel (also known as the Town Hall) was until recent times one of only two listed cinema buildings in Northern Ireland still performing its original function; the other being the Strand in east Belfast. 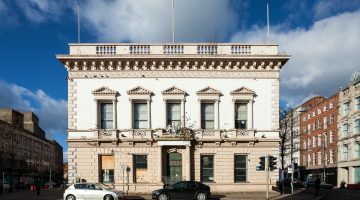 It opened in 1940 and was designed by Ben Cowser, a Kilkeel native and partner in the Belfast firm of Cowser and Smyth who were also responsible for the reworking of the well known North Street Arcade. The cinema, which is painted bright blue externally, consists of a large auditorium, with entrance, services and office space; all in a streamlined Modern style. 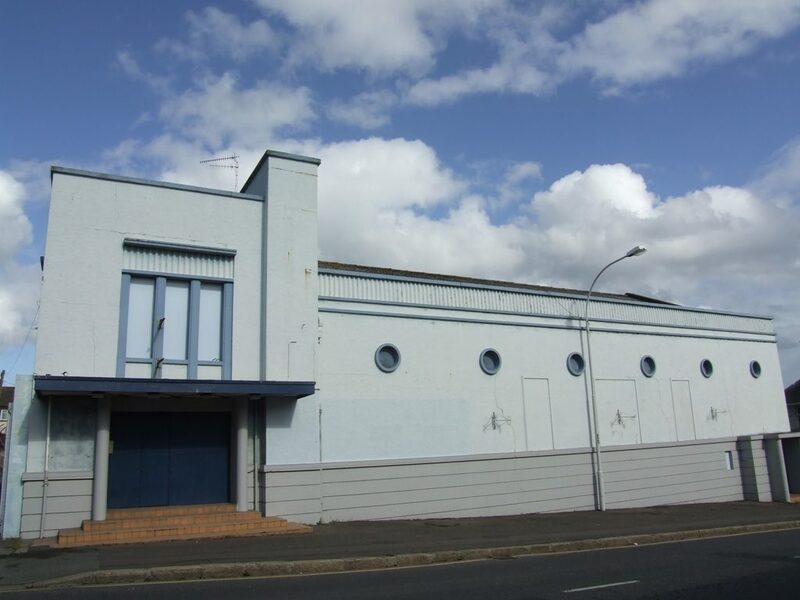 The 1930s saw an explosion of new purpose built cinema buildings in Northern Ireland in jazzy modern styles befitting a relatively new and exciting entertainment medium for the masses. Prior to this many would have been found in converted older buildings such as the Kelvin Cinema at nos. 17-18 College Square East in Belfast (now demolished) but these were clearly unable to accommodate the growing interest. John McBride Neill was responsible for many of the best pre-WWII cinemas and is regarded by Larmour as being the leading specialist in Ulster and one of the foremost exponents of cinema design in the British Isles. Unfortunately, a large number of his cinema buildings have been demolished, including the Troxy, the Forum and the Curzon in Belfast. The UAHS’s Heritage Newsletter of 1994 also documented the sad demise of the Tonic in Bangor. Of those that still survive, many have been changed virtually beyond recognition but the Vogue in Kilkeel retains much of its interior and detailing. However, it closed in September 2007 and the future use of the site remains uncertain.